Today's Daily Vintage is a 1973 vintage coloring book. 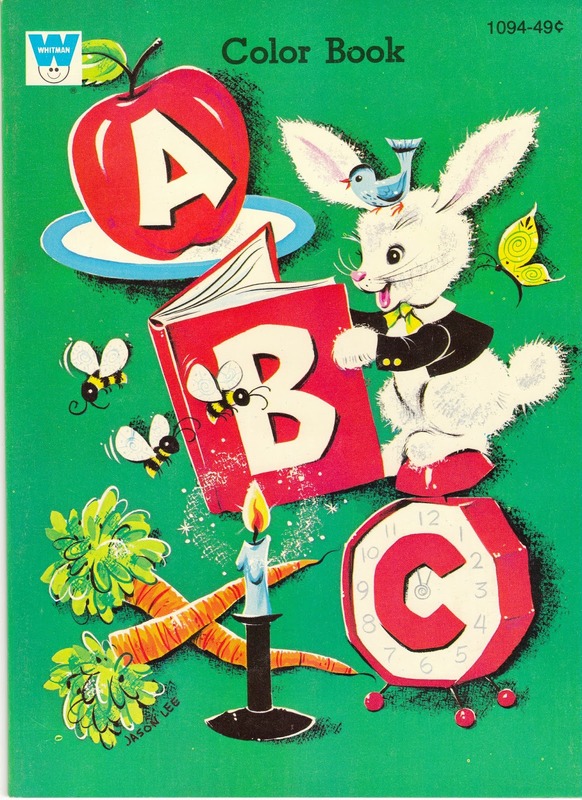 The ABC Color Book was published by Whitman. A few years ago I chanced upon some great old store stock (vintage items that had been in storage at a shop - never used). This is one of several coloring books that I found - the others are also in my store. This reminds me so much of coloring books I had as a child. It's really cute! Found at Birdhouse Books: ABC Color Book.